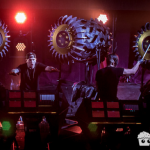 The Glitch Mob Talks "The Blade," Being Hands-On, Mind Music, and D*ck Pics!?!? Sensible Reason: Can you tell us a little about your current stage design and live show on this tour? How does it differ from things you have done in the past? 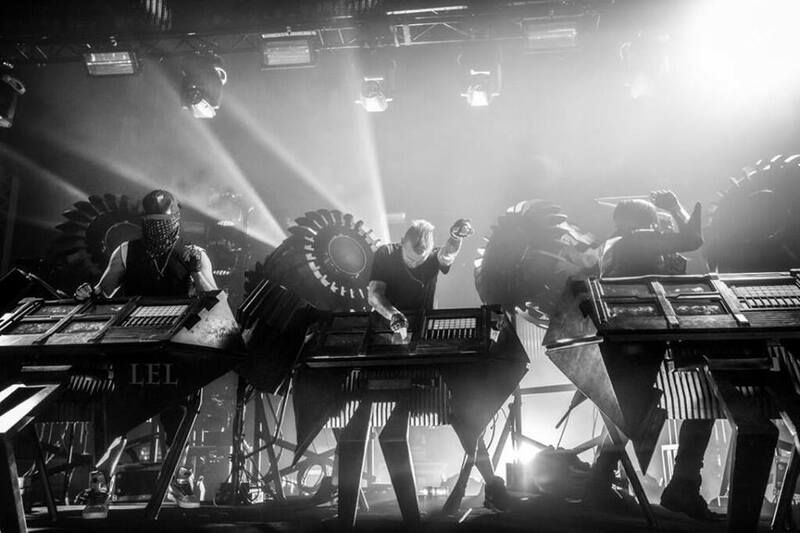 The Glitch Mob: Our new stage show, The Blade, is the next step in the progression of our live shows. It’s a bigger, badder, and more fun version of our last show. And it’s more reliable. In the past, we had done all of the design and programming ourselves, and this time we enlisted some experts to help out. It’s a mesh of different custom software that allows us to really perform our music live. It’s been designed from the ground up to allow us to have fun and rock out, while being a stable platform that will stand up to the rigorous tour schedule. SR:You recently mentioned in another interview that your previous album was more of a headphone listening experience as opposed to this new album, which is more grand and epic, and tailored for a live setting. How did you work to capture that, both in the studio and in the live setting? 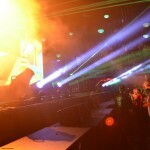 TGM: It all comes down to the vibe, the emotion of the music. The stories that are being told are more epic. Larger than life. 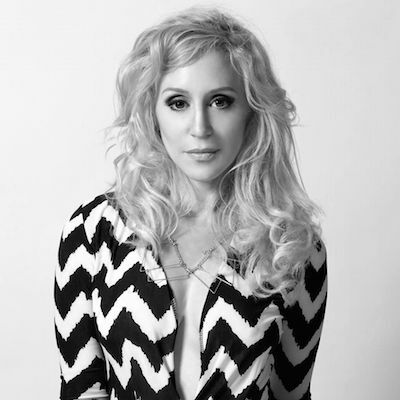 All of the techniques used in the writing of the album are there to support the massive feeling of the album. The goal was to have it retain the deep feelings of the last releases, while merging it with the heavy dancefloor + live element that we come from. SR: Being an independent group, you all wear different hats and fill different roles. What are the unexpected most enjoyable and least enjoyable aspects of your day-to-day duties within the group? 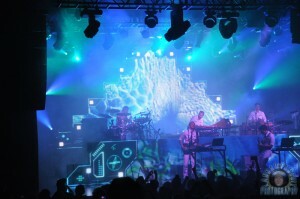 SR: What would you consider to be a turning point for The Glitch Mob? Was there a moment that shaped or changed your sound to be what it is today? TGM: There really wasn’t one particular moment. There’s been now POW for us – it’s been a slow burn, from years of touring, to releasing music and playing it. We haven’t had any commercial radio hits, magazine covers, or anything like that. It’s been very grassroots, which can lead to a very loyal fan base. SR: If each of you could offer streamlined advice to either up-and-coming artists or kids out there who want this but haven’t got the clue where to begin, what advice would you offer them? What are the most valuable lessons you could pass on? TGM: Finish as much work as you can. Ideas are just ideas. It takes a lot of hard work, more than you think, so focus and get good at your craft. Have fun with it, and tell your own story. Read “Steal Like An Artist” by Austin Kleon. The Glitch Mob feat. Metal Mother – Becoming Harmonious (Official Music Video) from Susi Sie on Vimeo. SR: Is there any specific location you always envisioned playing but haven’t gotten the opportunity to yet? TGM: Some day we hope to play in space. It could happen. Not joking. SR: Where would you like to see The Glitch Mob progress to in the next 5 years? What about the scene and culture in the next 5 years? TGM: We will keep doin’ our thing, building bigger crazier stage shows that get more live and more interactive with the crowd. SR: What is some of the gear, hardware, or software that you are fond of in a live setting right now, or that each of you utilized in the recording process for this album? TGM: It’s all about Ableton Live. That’s what we write all of our music in, and perform it. What we do would not be possible without it. SR: How do you envision the process of making music unfolding in the very near future? Are there any futuristic, Jetson-like predictions that you would love to see come to light? TGM: It won’t be long until you can record sounds in your head. Just think of a bassline and it will output to a file. 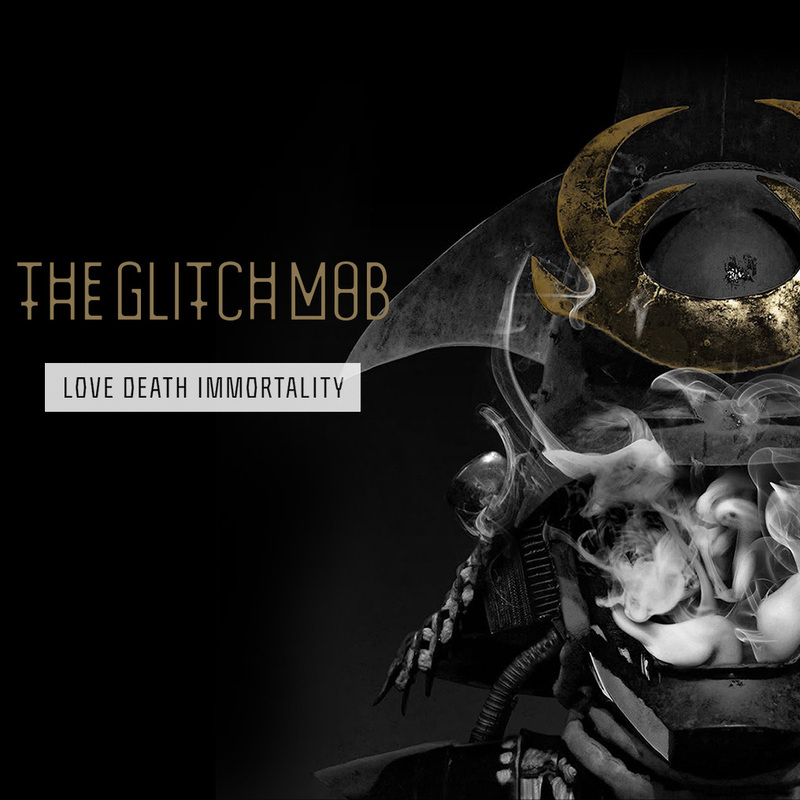 The Glitch Mob’s new album, Love, Death, Immortality, is out now! A big thank you to the trio for a great interview! If you haven’t gotten a chance to check out The Glitch Mob live, there are more tour dates here. 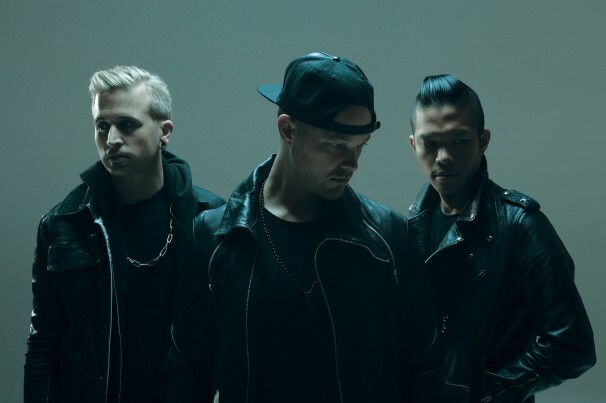 Purchase tickets for The Glitch Mob’s upcoming shows here.